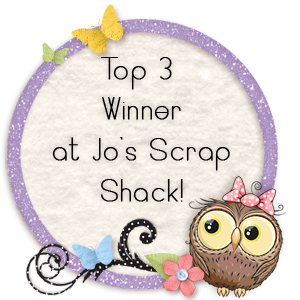 Well its been a while since my last post but hopefully now I am getting my Mojo back............. Since all my Christmas cards I found I was stuck for inspiration and travelling back and forth to Wales was taking its toll. 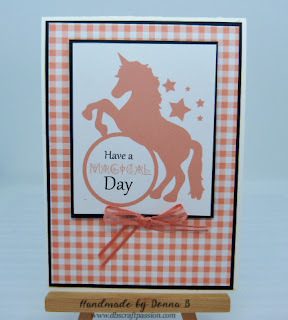 But here we go with a lovely little card using the Magical Day set, I just love this set and I now have a head full of projects. I used a die from my stash to cut out the wave pattern, using Island Indigo card stock, layering one piece on top of the other with foam. I used the lovely DSP for the clouds. 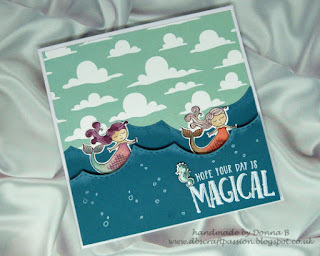 I coloured the mermaid in with the stampin' blends and added wink of stella to make them sparkle. 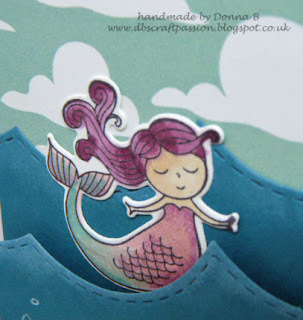 For the sentiment I used versa mark and white heat embossed them.